FOXBOROUGH, Mass. – His first personnel move at tight end since Rob Gronkowski announced his retirement in late March, the New England Patriots have agreed to a one-year deal with Austin Seferian-Jenkins, a source tells ESPN's Field Yates. The Patriots also hosted former Broncos and Texans wide receiver Demaryius Thomas and former Jaguars running back TJ The 6-foot-5, 262-pound Seferian-Jenkins immediately becomes the Patriots' most accomplished pass-catcher at tight end, with 116 career receptions for 1,160 yards and 11 touchdowns in 43 games over five seasons. The other four tight ends on the Patriots' depth chart – Jacob Hollister, Stephen Anderson, Matt LaCosse and Ryan Izzo – have combined for 71 career receptions. Significant turnover has led to less scouting input from coaches, adding emphasis to Caserio's role in a year when New England has 12 draft picks. Seferian-Jenkins, 26, had 11 catches for 90 yards and a touchdown before going on injured reserve in early October with a core muscle injury that required surgery. He became a free agent when the Jacksonville Jaguars declined his $ 500,000 option for 2019. 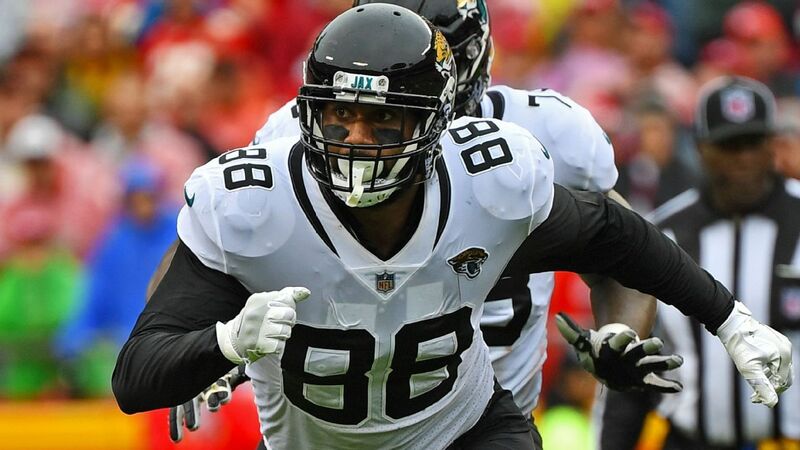 Seferian-Jenkins joined the Jaguars on a two-year, $ 10 million deal before last season after resurrecting his career with the New York Jets. The Tampa Bay Buccaneers cut him after a September 2016 drunken driving arrest, which ultimately resulted in a two-game suspension by the NFL at the start of the 2017 season.